Just a quarter-billion dollars separates the Port of Baltimore from joining the East Coast intermodal arms race, even with CSX back onboard to help reconstruct a key rail link to the marine gateway. The Maryland Ports Administration is short $263 million, according to a new report, to start construction to clear doublestack trains through Baltimore’s 122-year-old Howard Street Tunnel, to eventually reach inland destinations. Negotiations are ongoing with CSX, which owns the tunnel, and there are no viable alternatives in the report, which was requested by the state General Assembly in February. Those options include car float or barge operations to transload containers for double-stacking; a shuttle to the Mount Winans yard to build single-stack trains into doublestacks, or doublestacking on Norfolk Southern via the Northeast Corridor. In the past CSX was focused on doublestack clearances up the I-95 corridor through Delaware to Philadelphia, to serve onward Eastern markets. While Georgia, Florida, New York and Virginia are spending billions to expand container capacity, Maryland transportation officials have said that the Port of Baltimore’s potential as an intermodal gateway is constrained by the tunnel. There is also some strategic considerations that growth at Georgia’s Port of Savannnah and the Port of New York/New Jersey make any real gains for inland container traffic originating at Baltimore problematic. Jacksonville-based CSX in 2017 pulled out of a prior proposal by the Maryland Department of Transportation for a $445 million public-private partnership to increase the height of the tunnel. That plan had the state and CSX contributing $145 million each with the final $155 million contributed by the federal government. The report says that CSX will now ante up just $91 million for the project; the state will match that while continuing talks on closing the funding gap. No federal monies are secured, and the U.S. Department of Transportation has yet to re-open a new round of funding yet for the Infrastructure for Rebuilding America program. Spokeswoman Laura Phelps in a CSX statement termed the report’s information “outdated” with “several options” still on the table, and that more meetings are scheduled in the coming weeks and into 2019. “CSX remains committed to continuing this dialogue about how to support the Port of Baltimore’s future growth objectives while continuing to meet the freight rail needs of all our customers,” Phelps said. 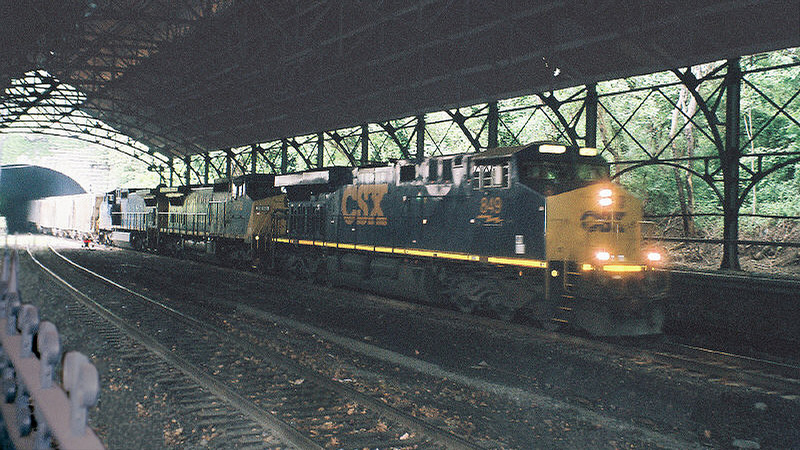 The report did note that CSX, at a cost of $20 million, is making required improvements to the tunnel’s storm water system, and the railroad has new engineering techniques that could allow rail operations to continue during reconstruction while shortening the length of the project to about two and a half years. At the same time, it said that the cost of the overall project would increase by $21 million.